It was announced yesterday, in the city of China that the iPhone 4 smartphone would be available for purchase beginning on September 25 on 8:00 AM. The device will retail for a price of CNY4,999 (~ $745) for a 16 GB model and CNY5,999 (~$894) for a 32 GB model. China also noted, that their mobile carrier company, China Unicom, will be selling the devices on a 2 year contract and would be providing subsidies on it. For a full press report; after the break. iPhone 4 will be sold in China through Apple’s retail stores for a suggested retail price of CNY4,999 for the 16GB model and CNY5,999 for 32GB model without a contract. 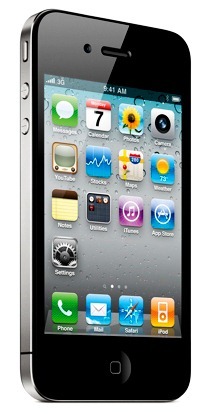 At China Unicom stores, iPhone 4 will be available for qualified buyers with a new two year contract, sold separately. For pricing and tariff information please visit www.10010.com. The new Apple Store Hong Kong Plaza is located at 282 Huaihai Zhong Road, Shanghai. The new Apple Store Xidan Joy City is located in the Joy City shopping center at 131 North Xidan Avenue, Beijing. For more information please visit www.apple.com.cn.